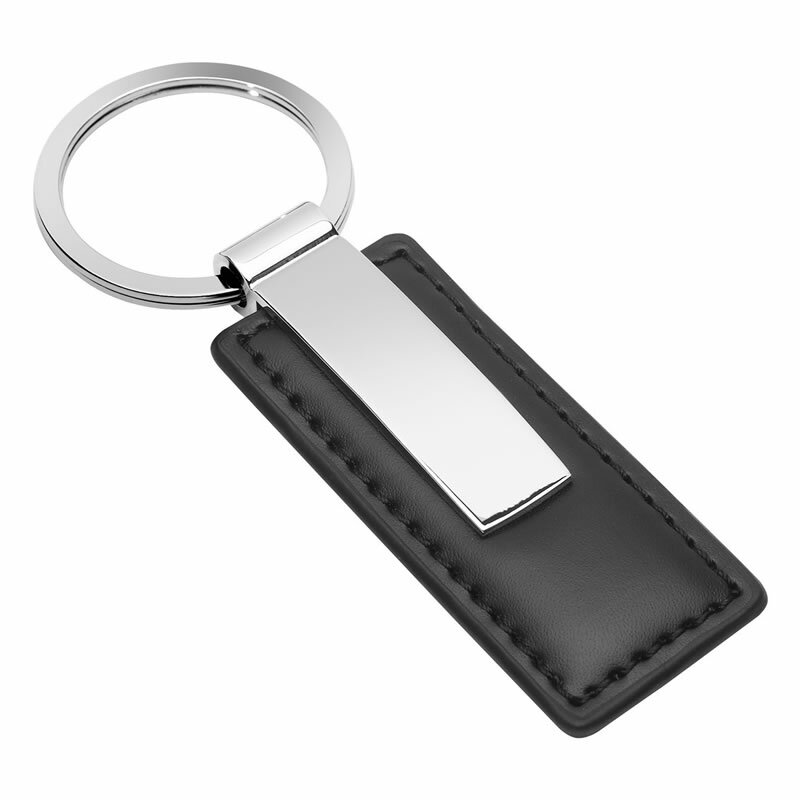 Stylish promotional keyring at an affordable price. These great-looking keyrings are crafted in sturdy metal with a polished silver colour finish and feature a black PU leather rectangular fob. They can be laser engraved on the metal fob to create custom branded keyrings for your business, event or brand. Supplied gift boxed.